Are you looking for an entry level opportunity with great pay and benefits? Luttrell Staffing Group in Morristown is currently hiring for Inventory Associate | Warehouse | Entry Level Opportunity positions! Qualified applicants will have a high school diploma / GED, be able to count, read, write, lift, push, pull, and walk for entire shift. Ability to multitask and an attention to detail are essential. Long-term position with the potential for hire! Interested? Click the link to apply and call (423) 586-5008 to schedule your interview TODAY! 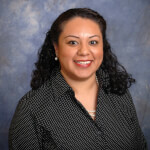 Daisy is Senior Staffing Manager at Luttrell Staffing Group-Morristown.